Hi traffic areas of your home are starting to show some wear but what really bothers you are the areas that have worn through the coating. Now your beautiful hardwood is exposed to the elements. Spots where you stand at the sink, take your shoes off at the door and were the kids run up and down the stairs are turning grey and appear to be beyond help. We all have places in our homes that have the same trouble spots. NO you don’t have to replace your flooring, in some cases you may not even need to hire a professional to refinish your hardwood. Let me introduce you to a simple solution: Finitec’s Age Tech. An alcohol based dye that is designed to reproduce the look of your aged finish. 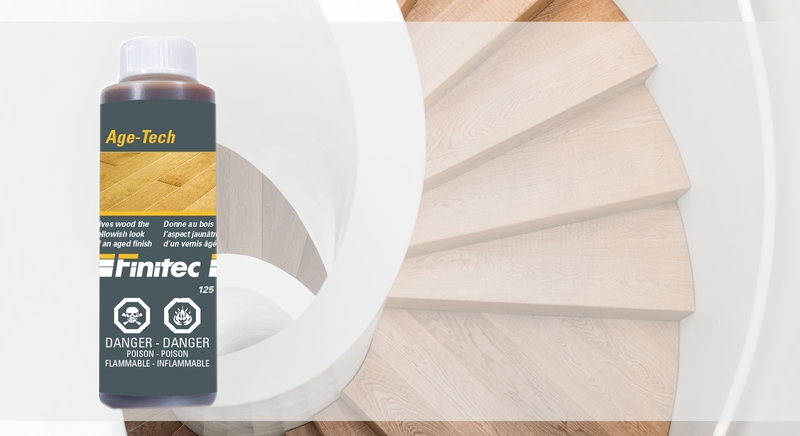 Apply any of Finite’s finishes to protect the surface. Voila! Congratulations you have found a solution to repair those trouble spots and can now show off your beautiful floor again.